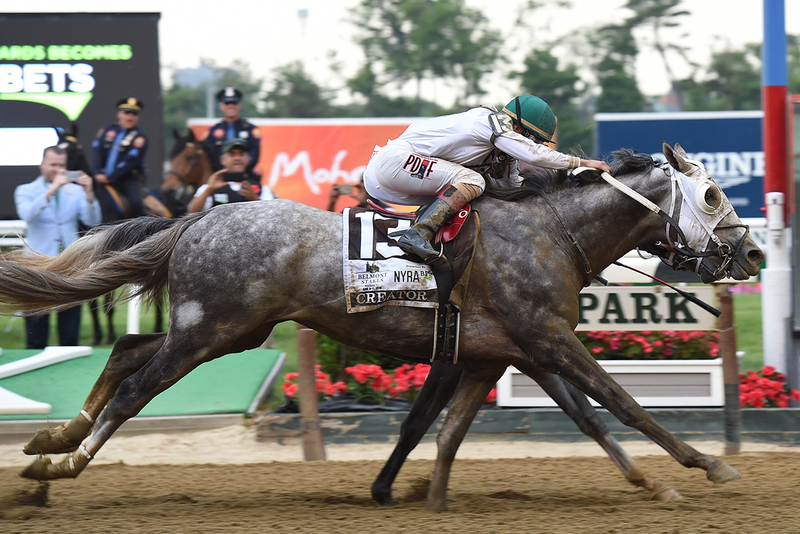 Creator noses out Destin to win the 2016 Belmont Stakes. Photo Credit: NYRA. Look at that consistency because it’s a thing of beauty. I don’t want to lose sight of the horse for the numbers, but, yeah — his :12 second furlongs from start to finish are gorgeous in their symmetry. American Pharoah’s seemingly effortless yet ruthlessly efficient action, which lends to that appearance of him seeming to glide above the racetrack, was the basis of his early fame and almost certainly his armor against the rigors of the Triple Crown season. That certain je ne sais quoi which first caught all the eyes at Clocker’s Corner, enabled him, at the end of three hard races in five weeks, to somehow run the last half mile of his Belmont faster than he ran its first. He is the very model of a modern Triple Crown winner. The problem at present for American Pharoah is that while he may be clearly the best three-year-old in America, the standard of his rivals is not yet clear. He’s essentially flying high above unknown terrain. 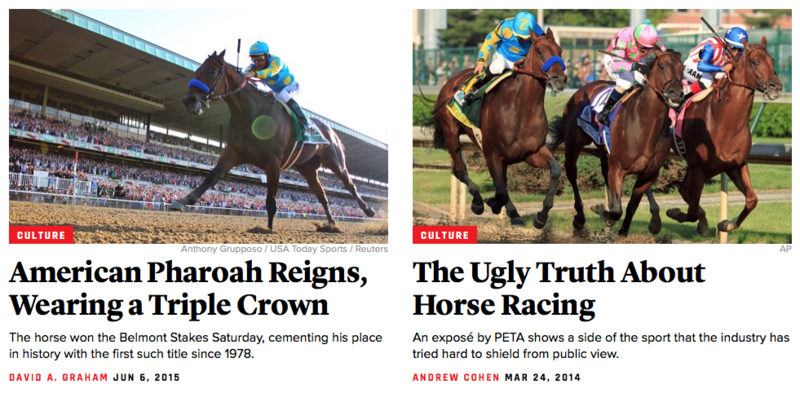 At a time when the sport has never had to work as hard for recognition and relevance, American Pharoah reminded a nation that widely regards horse racing in this country as overtly cruel, and callous, and uncaring, that the same spectacle can still produce transcendental moments. I think I’m mostly grateful other publications haven’t posted similar pairings.